Join our event from below! 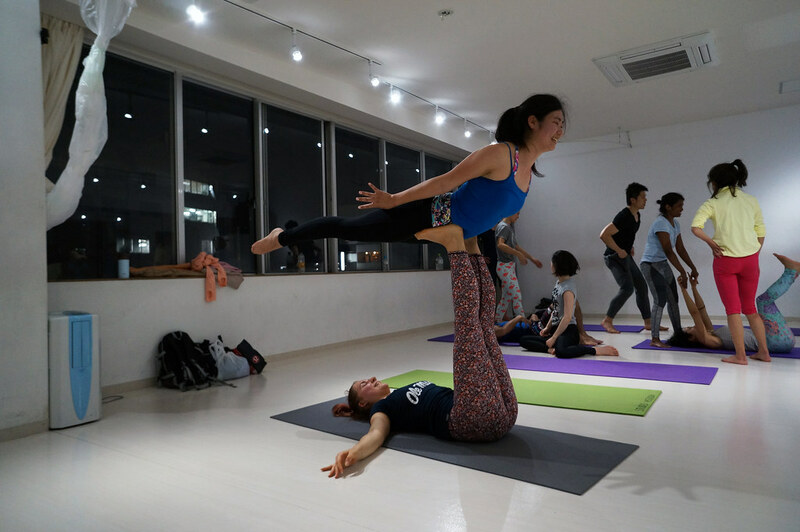 Our main sessions are at Studio Mission in Shibuya on Thursday evenings from 7:30 pm to 10:30 pm. Each week there is both a lesson for first-timers as well as a lesson for those who have mastered the basics so all are welcome to join at anytime. For people completely new to AcroYoga. Slow paced with a focus on safety, flexibility, and balance. For people who have some basic experience and are looking to improve. Bird, Folded Leaf, Throne You will be coached on how to do everything safely so don’t worry! 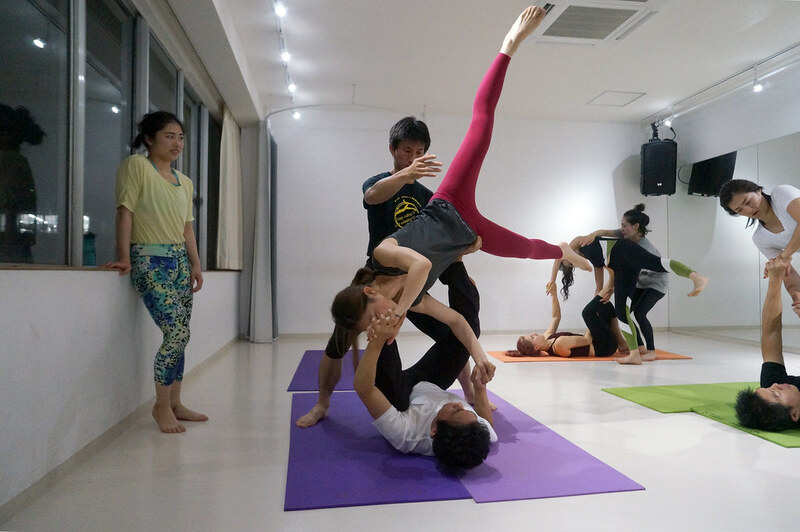 When it comes to AcroYoga, technique is much more important than strength. We will also occasionally have free outdoor jams (open practice sessions) at Yoyogi Park on Saturday afternoons. These are not lessons, but free practice sessions. Feel free to use this page to find other people to practice with outside of the normal times as well. We sometimes offer special guest workshops and related events. Keep a look out for them when they’re posted!